Spring has arrived in Illinois with a vengeance. 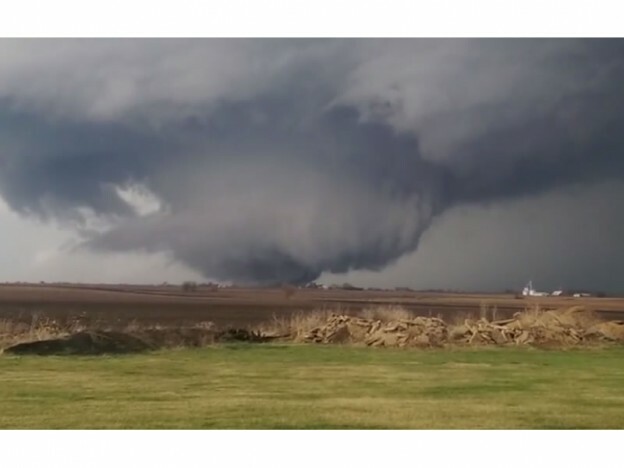 Last night, a huge tornado touched down in several small towns about 75 or so miles west of Chicago. The town of Fairdale (with a population of less than 200 people) was decimated. The news reports are saying that every building in the town was damaged, if not totally destroyed. Close by, the towns of Ashton and Kirkland were also hit by the massive tornado. There was a lot of damage in Rochelle, IL too. We actually have friends who live in Rochelle. I was able to “talk” with them via text about an hour after the tornado touched down. They assured me their family was safe, but asked us to pray for some of their friends that were trapped in the basement (where they had wisely taken shelter from the storm) of a nearby restaurant called Grubsteakers. This restaurant is (was) a local landmark located at the intersection of Rt. 64 and 251 in Rochelle. It was a staple in the community – people have been eating there for decades … my own husband was there a few months ago. I don’t know why, but I have always liked stormy weather (from the safety of my home). I think it’s because I love the sky. It is amazing (and sometimes frightening) to see a huge flash of lightning and then wait for the accompanying clap of thunder. The sky produces innumerable variations of colors and shapes. Sunsets are probably my favorite though … so many awesome color combinations. I also love star gazing on a clear night. I’ve never experienced a tornado … have you? This entry was posted in My Thoughts & Opinions, Personal Assistant and tagged IL, spring, storms, tornado, weather on April 10, 2015 by Tracy. 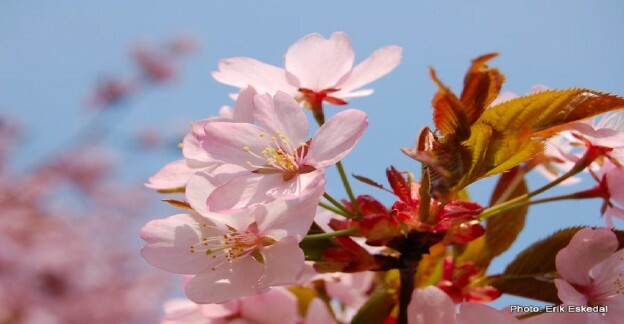 It’s May in Chicagoland ~ we are slowly but surely starting to get a taste of spring time warmth 🙂 May also means Mother’s Day to us Americans. 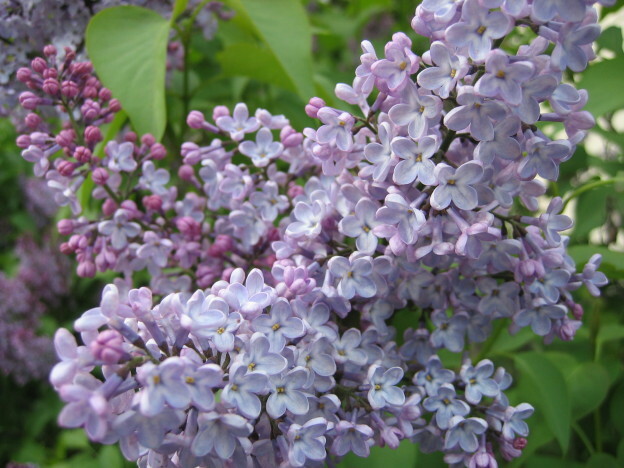 This year marks the 100th anniversary of the observance of Mother’s Day. In 1914, President Woodrow Wilson signed a measure officially establishing the second Sunday in May as Mother’s Day. We honor our mothers with gifts and cards. Flowers seem to be a particularly popular gift. Many families treat Mom like a queen on Mother’s Day … treating her to breakfast in bed and a day of relaxation by taking over her usual household duties for the day. Many families go out to share a meal together. 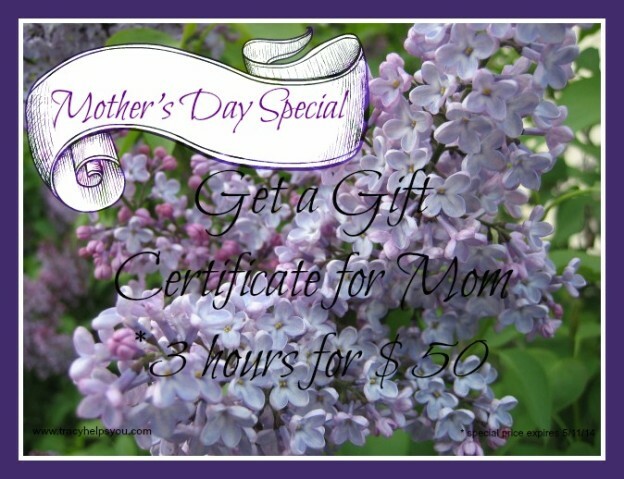 This entry was posted in My Thoughts & Opinions, Personal Assistant, Shopping and tagged 100th, Anniversary, celebrate, Family, flowers, Free Time, friends, gift certificate, Gifts, lilacs, love, May, Memories, mom, Mother's Day, spring, To Do List, Tracy Helps You on May 5, 2014 by Tracy. I think May is my favorite month in the spring. You can pretty much rely on having mild temps and sunny days. Of course, I do live in the Chicagoland area, so weather wise, nothing is ever for certain 🙂 I love getting to see everything come back to life after a long, cold winter. This entry was posted in Gardening, My Thoughts & Opinions, Seasonal and tagged allergy, Chicago, Chicagoland, daffodils, DuPage County, Fox Valley, garden, grass, hyacinth, IL, list, List It Tuesday, May, spring, Top 10, tulips, weather on April 22, 2014 by Tracy. 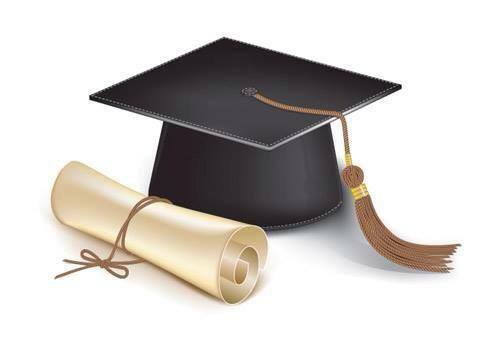 Let Tracy Helps You Help With Your Next Party ~ Graduation, Birthday or Shower … it’s up to you !! What do birthdays, graduations, weddings, and babies all have in common? They all are celebrated with a party !! Spring and Summer are filled with fun parties to celebrate a graduation, a baby shower, a wedding, a confirmation, a birthday, an anniversary, and family reunions ~ just to name a few (okay – more than a few). Our calendars fill up fast with party invitations. Throwing a party is a lot of work … picking the best date, making the guest list, getting the invitations sent out (digitally or by snail mail), planning the menu, house cleaning, shopping, cooking and preparation, decorating, and of course, the clean-up. Like I said, it’s a lot of work ~ fun work ~ but work none the less. I love throwing parties … I love the planning … I love being the hostess, but I also love the moment, after all the clean-up is finished that I get to sit down and put my feet up 🙂 It is such a good feeling ! Wouldn’t it be wonderful if you actually had time to enjoy visiting and catching up with your friends and family, knowing that everything was running smoothly “behind the scenes”? Plus, after you’ve said your good byes to your last guest, imagine the feeling of walking into a clean kitchen … as opposed to a pile of dirty dishes to do and bags of trash to take out. This entry was posted in Event Planning, My Thoughts & Opinions, Personal Assistant, Shopping and tagged Anniversary, assistant, birthday, celebrate, cleaning, DuPage County, family reunion, Fox Valley, Free Time, friends, graduation, Help, hostess, IL, party, planning, shower, spring, summer, Tracy Helps You, wedding on April 11, 2014 by Tracy. I’ve started my vegetable garden seeds indoors over the weekend. Now I patiently wait to see signs of life. I get so excited when I see tiny bits of green coming out of the soil. Here’s my list of the 7 vegetables I’ll always have in my garden … my standbys for having fresh produce for summer and fall. This entry was posted in Gardening, My Thoughts & Opinions, Seasonal and tagged DuPage County, Fox Valley, fresh produce, garden, GMO, Heirloom, IL, List It Tuesday, organic, Planting, spring, Tracy Helps You, vegetables, watering, weather, weeding on April 8, 2014 by Tracy. Spring has finally sprung … well not quite, but it is trying 🙂 I can at least say all the piles of snow have melted. We had one nice sunny, warmish day last week. My husband and I took advantage of it to start the process of getting the yard tidied up a little. Chicago endured a long and harsh winter this year … the high winds and 5+ feet of snowfall really took its toll on our yard. When it finally warmed up enough to be outdoors for a couple of hours, we found that the wind had tried to blow down a section of our fence … it didn’t succeed entirely, but it is leaning at a precarious angle. Repairing that is at the top of our to-do list when the ground is more thawed. After walking around and sizing everything up, we realized that we were quite blessed by only having to repair the fence. Living on a corner lot, we’ve come to understand that our house is kind of like a windbreak. During severe storms, you can almost feel the wind howling all around us. All that wind blows a lot of debris and litter into our yard. We filled a whole outdoor trashcan with what we picked up. I went around picking up lots of branches that had been broken off during the cold, hard winter. Lets just say we have plenty of kindling for whenever we want enjoy a fire in our fire pit. We also were reminded that we didn’t have time to get all the leaves raked up last fall before the snow came. With 6 trees on our property, raking leaves is like a full time job in autumn. After the litter was cleaned up, we thought that if we were to take a picture of the front yard it would be actually hard to tell if it was autumn or spring. We got to work and filled several bags with leaves. 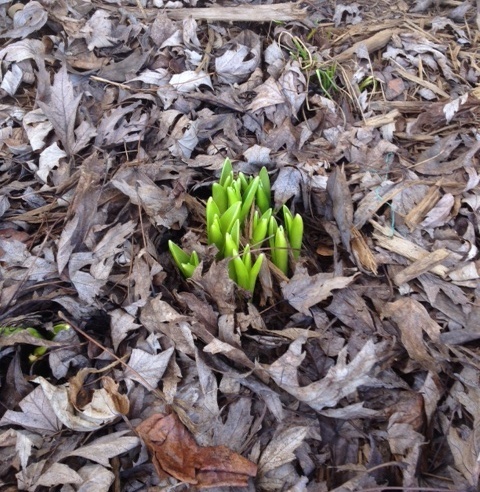 The best part of that afternoon (besides enjoying some fresh air and feeling a sense of accomplishment) was finding little signs of life peeking out of the ground. If my memory of their locations serves me, we have seen signs of life from the Crocus, the Daffodils, the Hyacinths and the Tulips. Soon we will be able to start turning over and preparing the soil in the garden area. 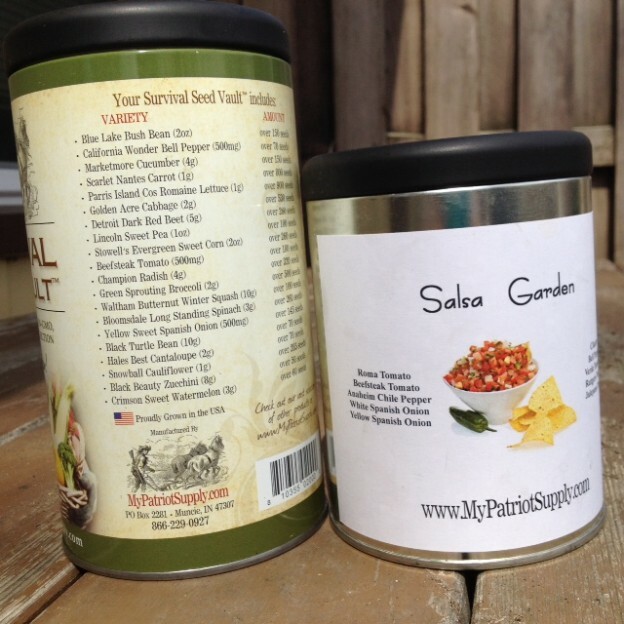 I plan to start my vegetable seedlings indoors this weekend. This entry was posted in Gardening, My Thoughts & Opinions, Personal Assistant, Seasonal and tagged blessed, Chicago, cleaning, DuPage County, Fox Valley, garden, Help, Leaves, planning, spring, To Do List, Tracy Helps You, weather, winter, yard on April 4, 2014 by Tracy. Well, the calendar says it is officially Spring, even if the snow on the ground begs to differ. Spring cleaning for me involves organizing along with actual cleaning. This is the time of year that I try to go through closets and storage areas to try to downsize and organize. 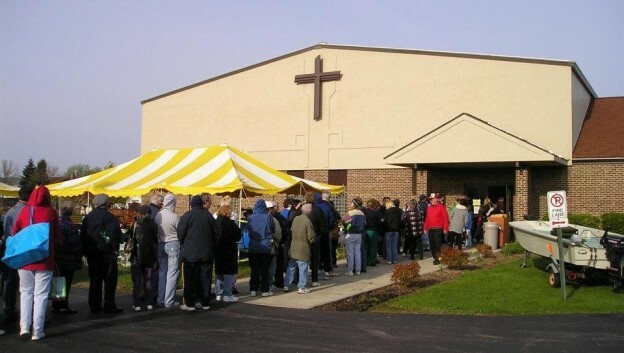 Each April, my church holds an annual garage sale (from donations from the congregation and the surrounding community). After operating expenses, the proceeds go to help several charitable organizations in our community. It has always been a successful and highly anticipated event. I usually volunteer by helping sort through and organize the donations and by working as a cashier on the actual day of the sale. Then I plan a schedule to start sorting through and organizing the various closets, cabinets and bookshelves. I box up the items for donation. Then I’ll wipe down and clean the shelves before putting back the items that I’m keeping. 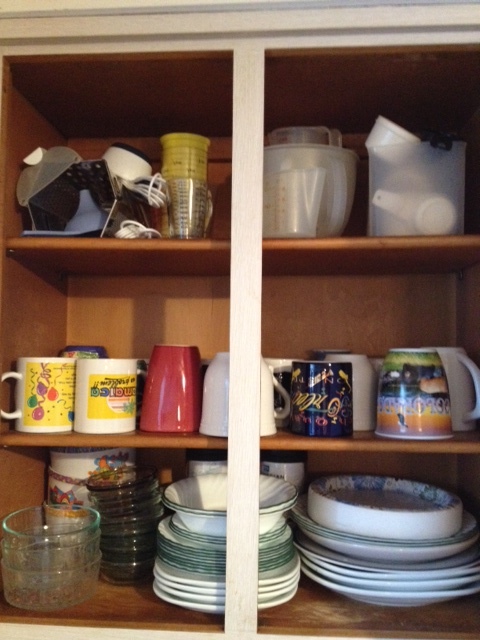 It always gives me a sense of accomplishment to tidy up and re-organize the cabinets and closets. I also really like the feeling of giving … of my time and my treasures. This entry was posted in My Thoughts & Opinions, Organization, Schedule / Planning, Seasonal and tagged cleaning, donation, DuPage County, Fox Valley, garage sale, Help, organizing, sorting, spring, spring cleaning on March 25, 2014 by Tracy. Spring Break Getaway ~ Staycation ~ or ~ Clean Up Week ?? When did Clean-Up Week change to Spring Break ? Back in the day, when I was in grade school (late 1960’s / early 1970’s), Chicago public schools had a week off in the spring called Clean-Up Week. It was always a “staycation” for me because we literally cleaned. It was a time of major spring-cleaning at our house – wall washing, hands and knees floor washing. Whenever I smell Pine Sol, I have flashbacks to scrubbing the stairway to our second floor apartment on Southport Street. My grandma (who raised me) used to say she loved to give the house a good “airing out” after a long winter. I remember her hanging the kitchen curtains on the pulley laundry line and watching them flap in the breeze on a sunny spring afternoon. I’m not sure exactly when, but by my high school years, it was called Spring Break. I have wonderful memories of my senior class trip to Hawaii during spring break. As a travel agent during the 1980’s, I can attest to the fact that spring break travel was very popular, especially for college students. During the 1990’s, it started becoming a popular time for family trips as well. In the last 10 years or so, the “stay cation” concept has been gaining popularity. The idea of taking short day trips and then sleeping at home seems to work well with the current economy. You can sight see and check out local tourist attractions while saving money on lodging and breakfast. So, what does Spring hold for you this year? My husband and I plan on a combination of Clean-Up and Staycation. We have some small projects around the house and I think it will be fun playing tourist in my hometown of Chicago. What are your plans … similar to mine or warm tropical getaway? This entry was posted in My Thoughts & Opinions, Personal Assistant, Travel and tagged Chicago, clean up week, cleaning, Family, getaway, Memories, sight seeing, spring, Spring Break, staycation, tourist, Travel, warm on March 11, 2014 by Tracy. 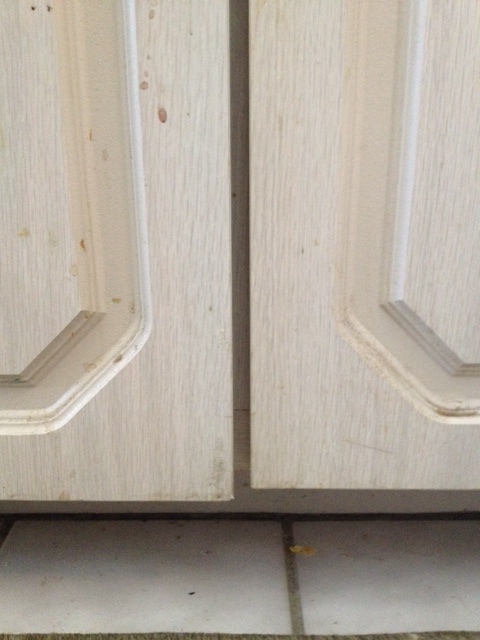 It’s the first day of March ~ so here’s an update on my early kitchen spring cleaning challenge I gave to myself. That, coupled with my perfectionist / all or nothing mindset, well … lets just say I felt like I couldn’t post about my kitchen progress because I thought because I didn’t keep up with my own expectations, that I had failed. This entry was posted in My Thoughts & Opinions, Organization, Personal Assistant, Seasonal and tagged cabinets, challenge, clean, cleaning, degrease, February, kitchen, list, March, organize, scrubbing, spring, sunshine, To Do List, Tracy Helps You, update, weather, windows, winter on March 1, 2014 by Tracy. It has been a week since I posted my list of tackling spring cleaning early goals. During the week, I worked on re-organizing my cabinets. 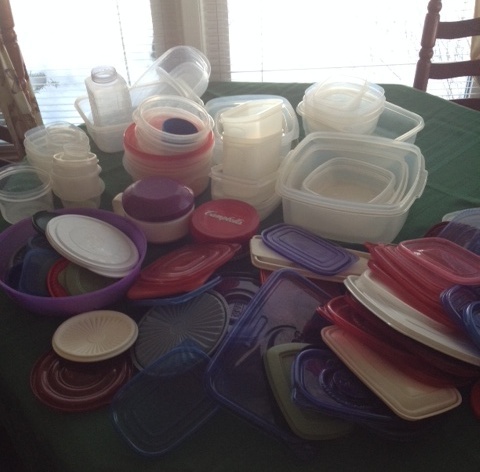 I started with my Tupperware cabinet … it was a mess. First, I emptied everything out on my table. Next, I matched each plastic container with its lid. I have no idea how this happens, but I seem to have a few bowls with no lids and a few lids with no bowls … again, I really have no idea 🙂 So, I got rid of them (recycle bin). I also got rid of a few that were in really bad shape … they get all stained and pitted, yuck. Then, I decided I wanted them to belong in a different cabinet. They were shoved onto a top shelf before. Their new location has more room. Also, I now have the lids stored in the same cabinet as the bowls. I had them stored in a drawer and they kept falling behind and getting jammed. I used a wire basket to stack all the lids to (hopefully) be easier to find. 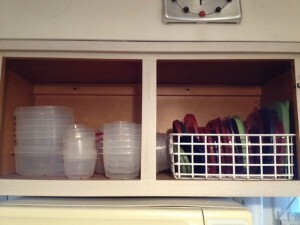 Nice, neat and tidy plastic storage containers and lids. I also decided to divide the containers into everyday leftover/storage size and the larger/serving sizes and stored them in a different cabinet. I then took out all my dishes and glassware to wipe down the shelves before putting them back. I tossed a couple of coffee mugs and a plate that had a chip in them. How are you doing on tackling your spring cleaning chores? What is on your to-do list? Give me an update … we can encourage each other 🙂 Let me know if you’d like Tracy Helps You to … help you. This entry was posted in My Thoughts & Opinions, Organization, Personal Assistant, Seasonal and tagged cabinets, chores, cleaning, container, organizing, plastic, sort, spring, storage, time, To Do List, tupperware, winter on February 11, 2014 by Tracy.